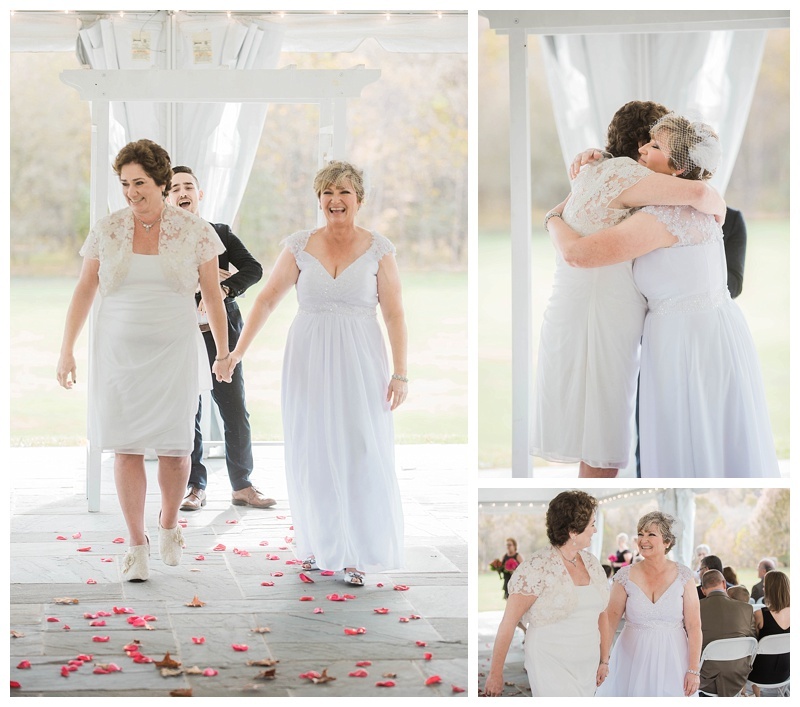 When Shelia and I met to discuss me photographing their wedding, I immediately knew their big day was going to be AWESOME! And it was!! They were brought together by Miley, their dog, so rightfully Miley, as well as Danny were a part of their wedding party. Check out Miley’s dress and painted nails, How cute?! 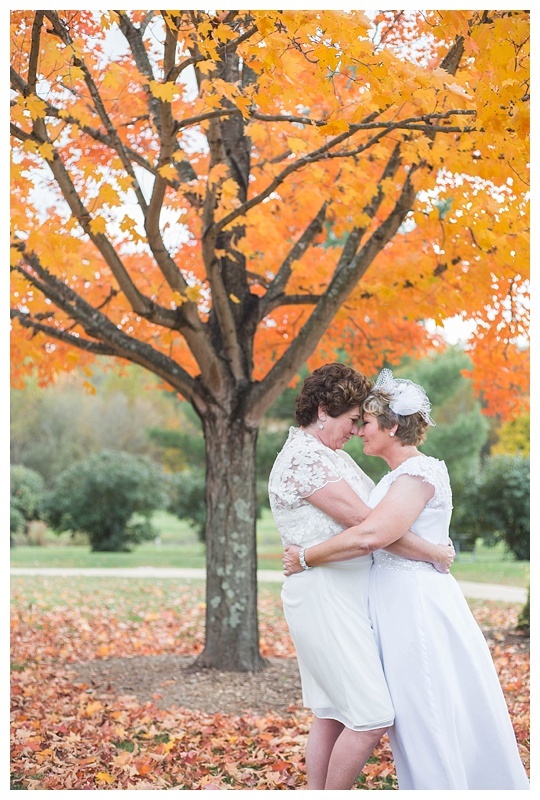 Laura and Shelia were married on a beautiful fall say at The Lodge at Little Seneca Creek surrounded by beautiful trees just beginning to change colors. 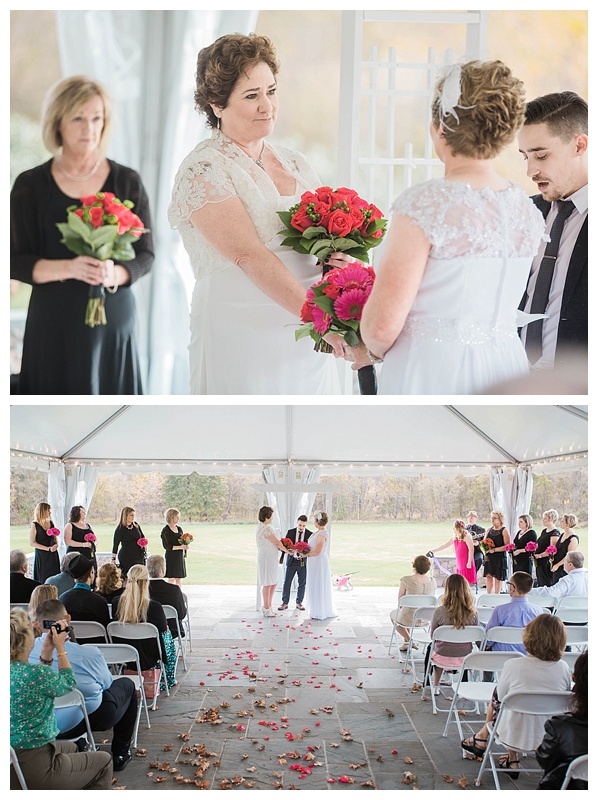 Because Laura’s parents could not spend their day with them, they placed a picture of them in the front row to share their love, it was as close to having her parents attend as they could get. I loved that idea! 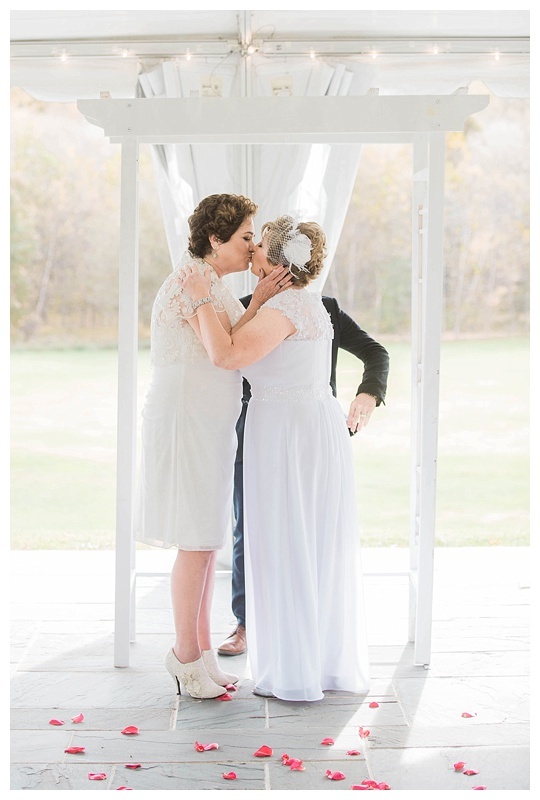 You can’t help but see all the love and happiness that Laura and Shelia have for each other. 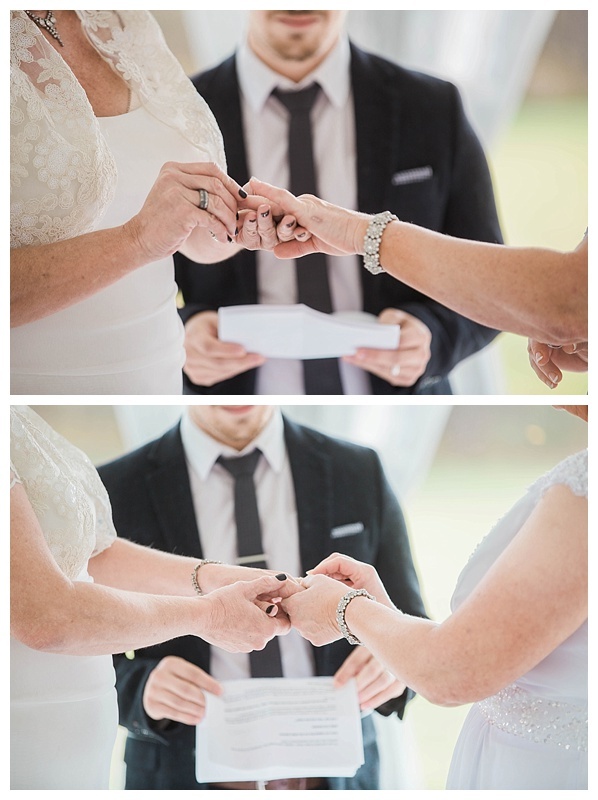 These photos bring a smile to my face just remembering how much love filled their big day. 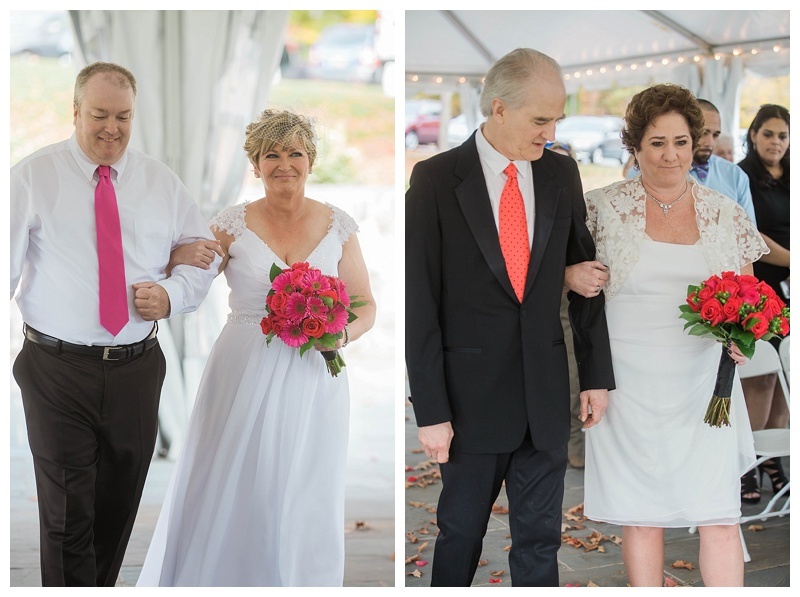 The smiles never once left their face! After their ceremony they partied with friends to an awesome live band, Wicked Jezabel. 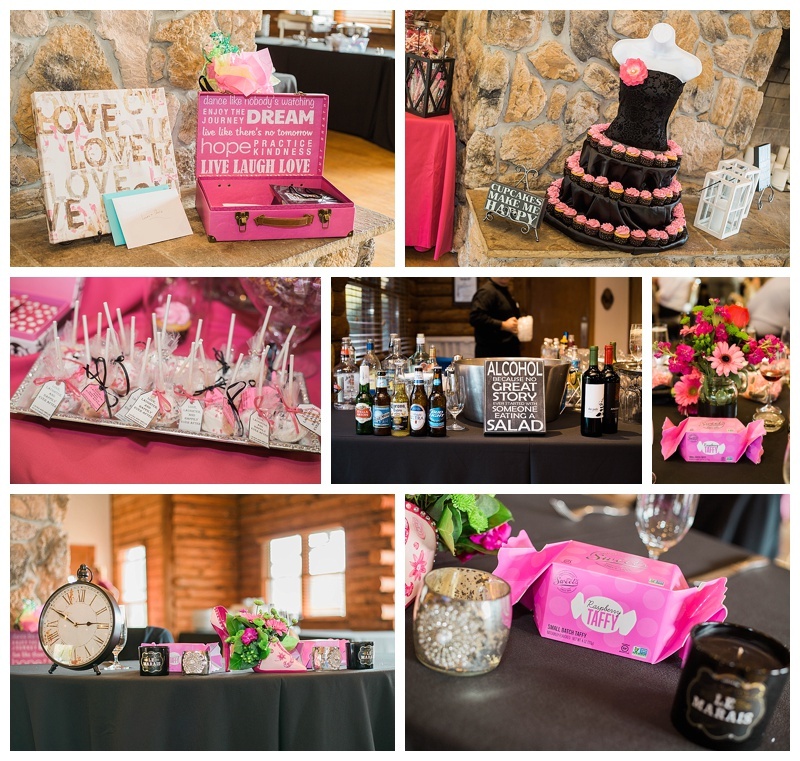 Meanwhile, their guests enjoyed their pink filled reception, and treat table, and awesome multi flavored cupcakes! 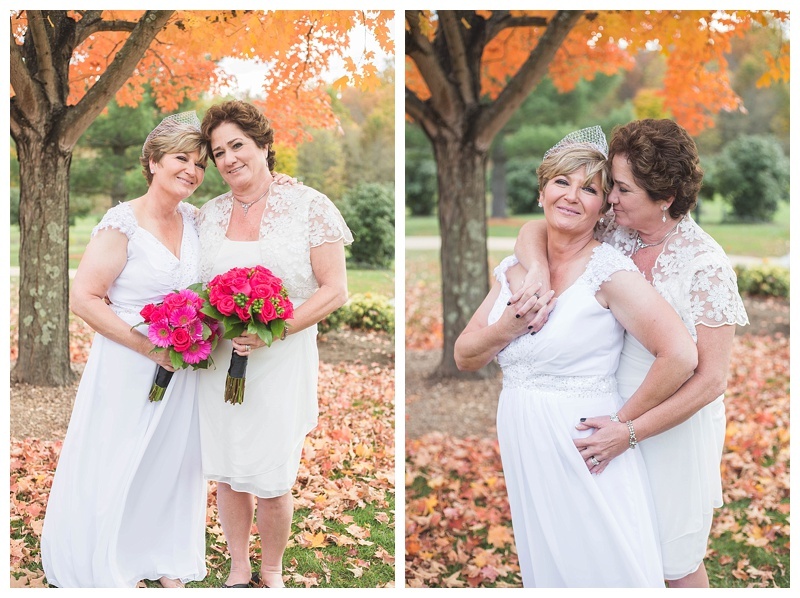 Congrats Laura and Shelia! 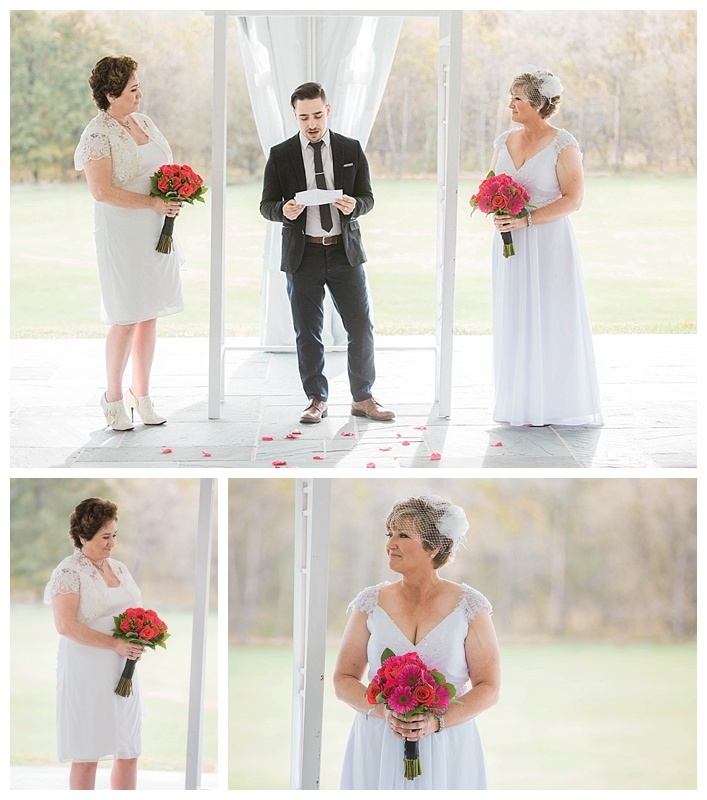 Thank you so much for having me as a part of your wedding day! 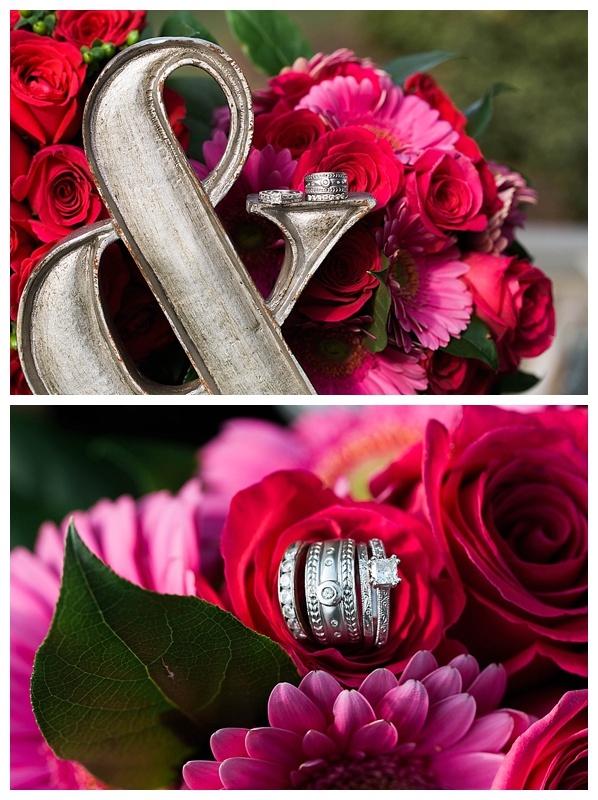 What a gorgeous wedding day!! 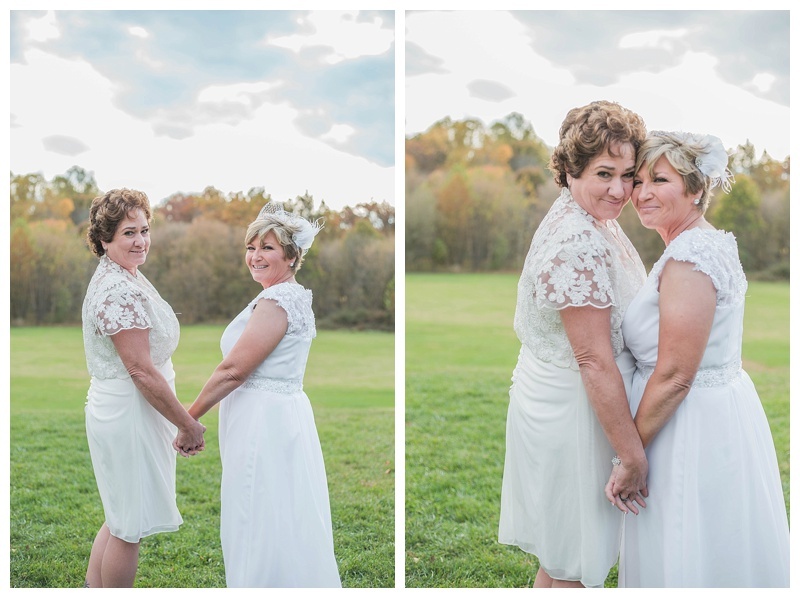 I LOVE the portraits of Shelia and Laura!! 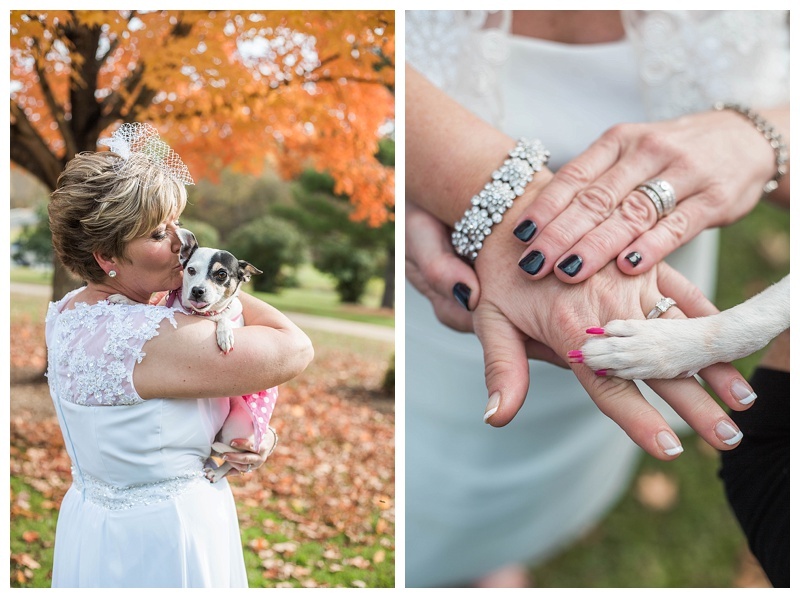 And I just love that their cute dogs were part of the wedding day! 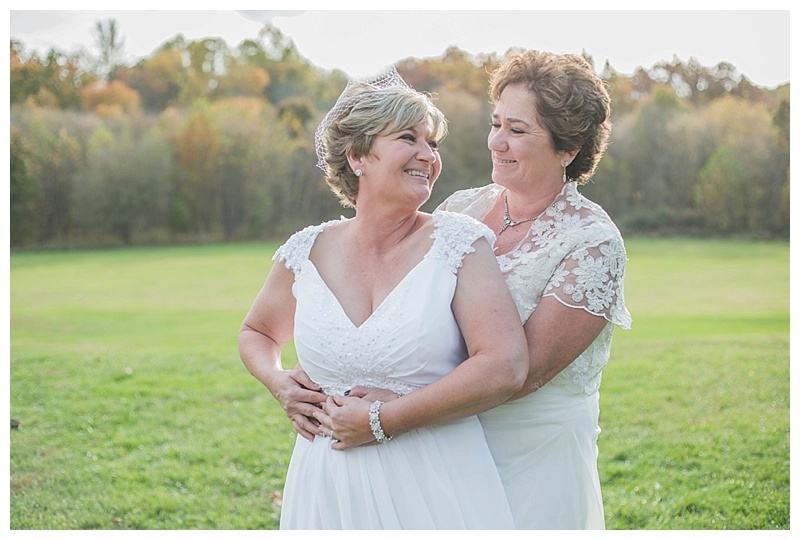 🙂 Congratulations, Shelia and Laura!! This is so beautiful! 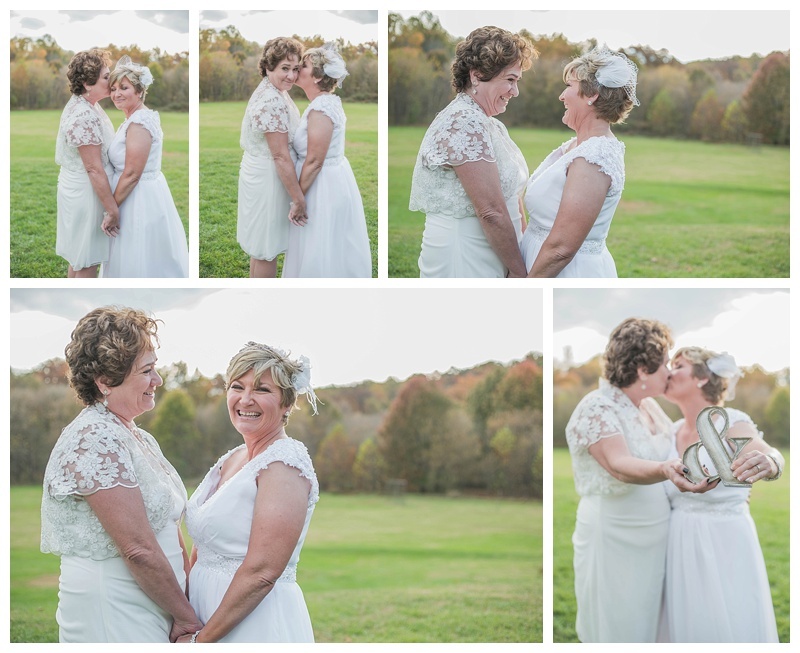 I love their dresses and that cake is so cute!